Alpha is very proud to welcome this grande dame of lyric art. A great Mozartian, Veronique Gens also excels in Gluck, Berlioz and Offenbach and has sung with the greatest, from Claudio Abbado to Marc Minkowski or Frans Br�ggens. 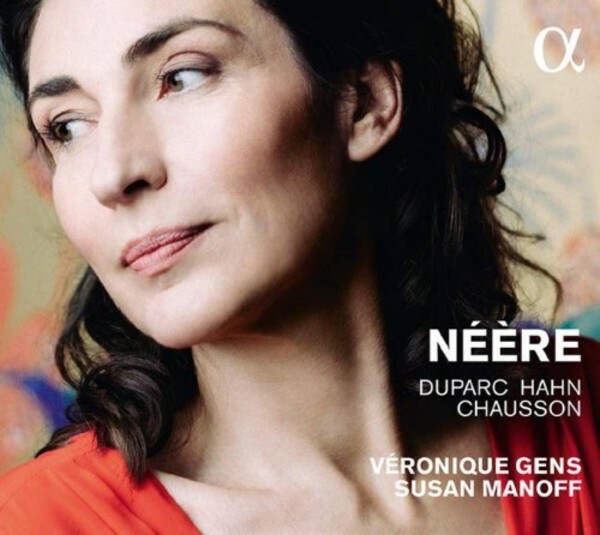 Her rich discography features numerous repertoires but, up until now, it included only one recording of m�lodies, whereas she is unanimously recognized as one of the world�s most eminent ambassadresses of the French art song. With her accomplice Susan Manoff, a connoisseur of vocal music and a tremendously sensitive pianist, she has assembled this programme devoted to songs she loves, mixing a few well-known gems and others, quite rare, such as the superb N��re, from Reynaldo Hahn�s Etudes latines.